Just a few steps from Resonate Global Mission missionaries Larry and Pam Moeser’s house on Thailand’s island of Ko Yao Yai, a massive tree twists up from the ground. Its roots and branches creep outward and its dense canopy casts an ominous shadow on anyone who dares to approach it—everyone on the island believes a ghost lives in the tree. But their belief in ghosts gave Larry an opportunity to share about his faith. 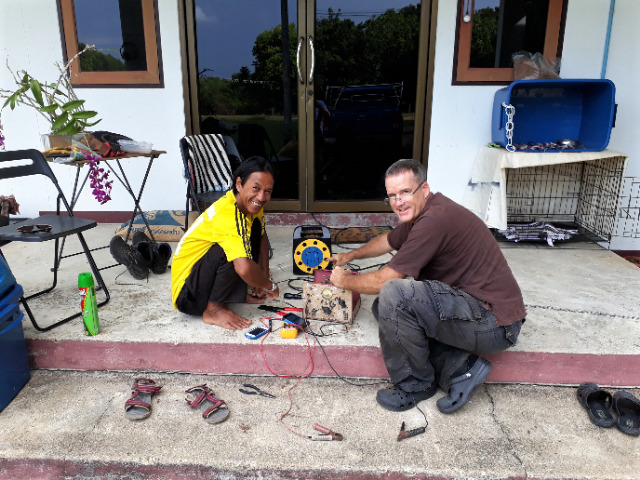 Larry and Pam partner with the Sustainable Development Research Foundation (SDRF) to research, improve, and help create sources of income for people on Ko Yao Yai. Their ministry, however, extends beyond their role with SDRF; their very presence on the island is ministry. Sometimes, that means Larry lends his hand fixing broken appliances. People on the island cannot afford to replace items when they break, and Larry has earned a reputation for being handy. One day, he was fixing a man’s washing machine. “Has the ghost near your house been bothering you?” the man asked Larry. The man agreed: he believed Allah was more powerful than a ghost, but he still marvels at the difference in Larry’s faith.